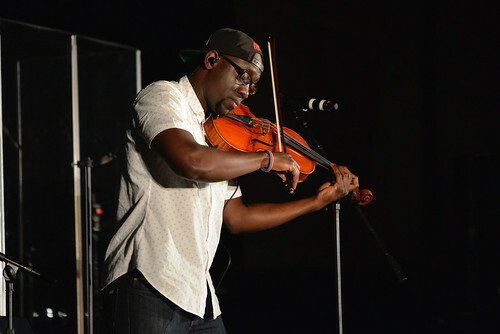 Violinist Kevin Sylvester and violist Wilner Baptiste, who go by the stage names Kev Marcus and Wil B., did a 15-song set for the Hun community as part of the School’s Centennial Speakers Series. The duo, who are classically trained musicians, have performed with Alicia Keys, the Wu-Tang Clan and other superstars. They’ve also produced music with Kanye West, Aerosmith, and Tom Petty. With the crowd jumping, the group did original and covered songs that ranged from Bach’s Brandenburg Concerto No. 3 to Bruno Mars’ Uptown Funk. Their new album, Stereotypes, encourages people to look past stereotypes and focus on what unites us rather than what divides us. 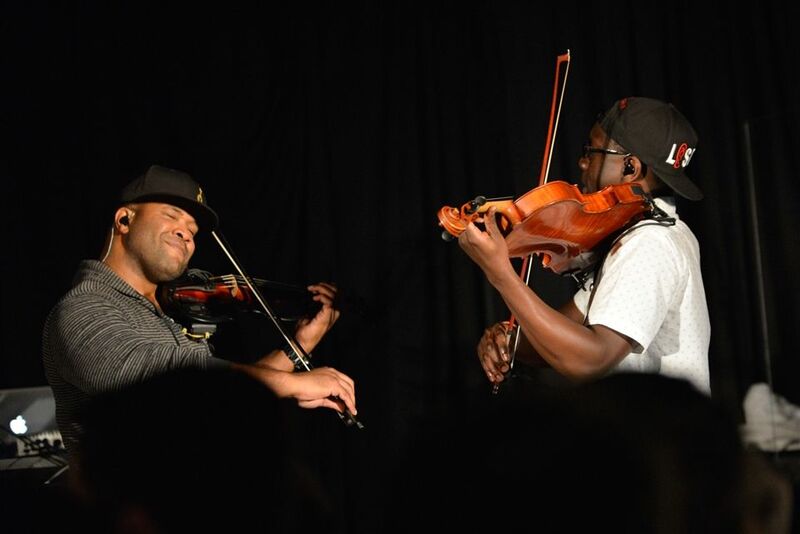 Black Violin is currently on a 52-stop concert tour. For more information, go to blackviolin.net. Click here for more information on The Hun School’s Centennial Speaker Series. 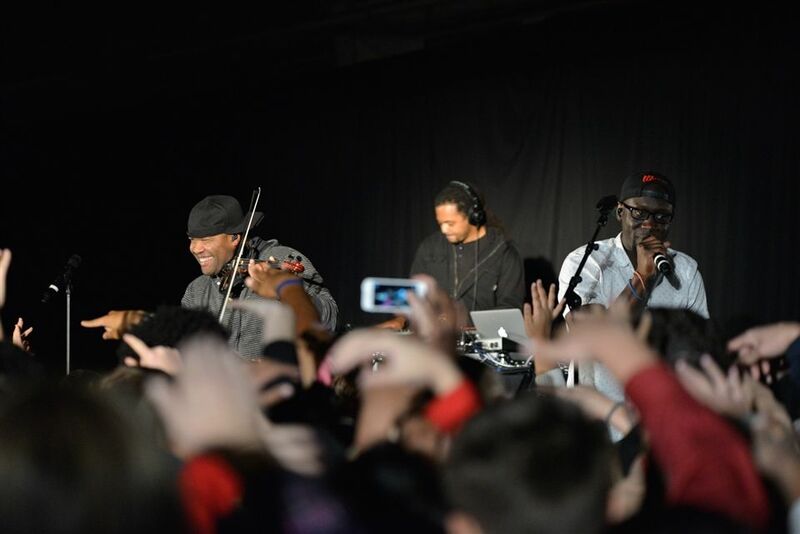 On Wednesday, December 7th, The Hun School of Princeton welcomed Black Violin, a strings-playing hip-hop duo, for an all-school concert.